​Welcome and thanks for visiting our presence on the world wide web. You should be able to find our new interactive site very informative and helpfully available twenty four hours daily. 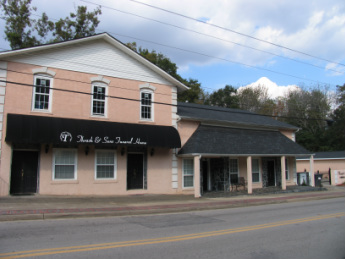 Thrash and Sons Funeral Home in Hogansville Georgia is a family owned and operated funeral home that’s been professionally serving the community and surrounding areas of West Georgia for nearly 100 years. 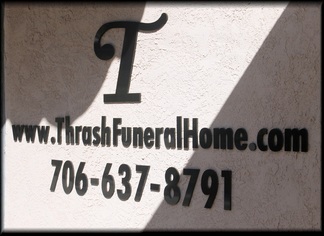 We are known to many as Thrash Funeral Home. The Thrash family tradition has always been to provide unparalleled service, and we are committed to continuing that tradition for generations. Like and follow us on Facebook to get updates on services and funeral updates. We believe strongly in the celebration of life and work with each family we serve as if they are our own, to arrange a proper tribute for their loved ones. Contact us to see how we can help you in your time of need or in planning for the future. Often times family, friends or colleagues cannot always attend the funeral ceremony. Thrash & Sons Funeral Home allows you the opportunity to submit your personal words of condolence, light candles, view photo’s and video all right here on our website. To request an appointment for a consultation with a prearrangement counselor, without cost or any obligation, click here. ​Like and follow us on Facebook to get updates on services and funeral updates. © 2018 Thrash & Sons Funeral Home. All rights reserved.